All Classic Africa tours, river cruises, expedition cruises, and adventure trips. Find the best guided trips and expert planned vacation and holiday packages. 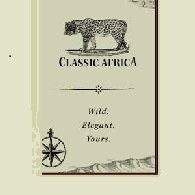 Average rating of 0.0 for all Classic Africa trips. Visit Botswana's vast Chobe eco-system is one of the most fecund and scenic in Africa.